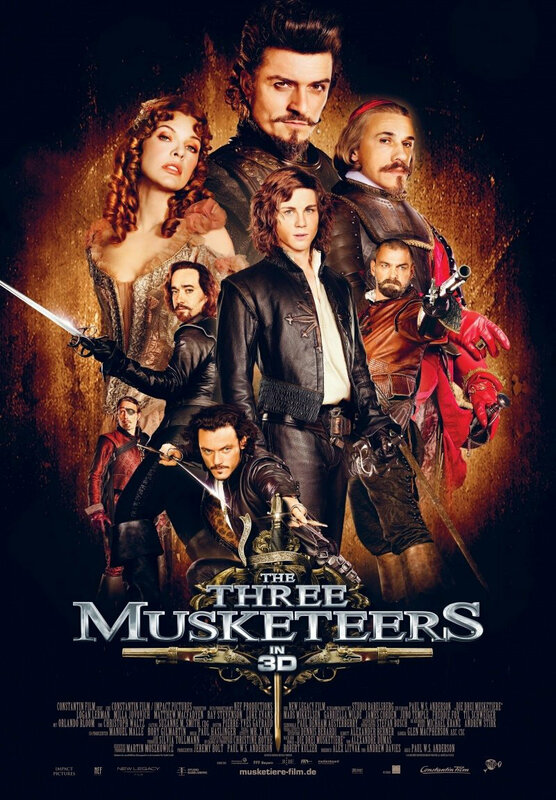 THE THREE MUSKETEERS deals with a steampunk retelling of the classic tale which involves D'Artagnan (Logan Lerman) and the veteran Musketeers (Matthew Macfadyen, Ray Stevenson, Luke Evans) going up against the villainous Lord Buckingham (Orlando Bloom) and his CGI airship in an effort to once again save France. 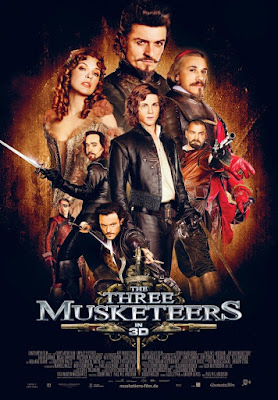 Along for the ride is Milla Jovovich as the double crossing Lady DeWinter, and Christoph Waltz as the scene chewing Richelieu. What follows are 110 minutes of bad CGI, goofy wigs, drag show costumes, and a bloated James Corden without his Carpool Karaoke. This dull bladed mess is available for streaming on Amazon, VUDU, and YouTube, but as always, you're better off leaving this CGI cannonball disaster to us and go watch the epic 1948 version starring Gene Kelly instead.